Issues relating to loan modifications or collections were among the most common type of mortgage-related complaints by servicemembers, according to an annual report from the Office of Servicemember Affairs and the Consumer Financial Protection Bureau (CFPB). 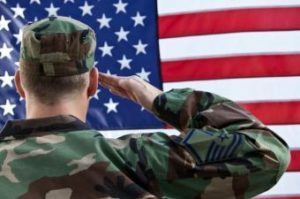 The report noted that around 40 percent of active duty servicemembers have a mortgage and over 700,000 veterans currently have a VA home loan mortgage. The report also indicated that veterans were 40 percent more likely to be underwater on their homes than non-veterans. servicemembers stated that "when they called their servicers, they could not get their single point of contact on the telephone." Complaints suggest that payment application and the management of escrow accounts continue to be a challenge for some servicemembers the report indicated. Additionally, vets also described problems with their automatic payments when escrow shortages and surpluses caused a change in their monthly mortgage payment. When mortgages were transferred to a new company, they tended to cause confusion among servicemembers especially when they received notice about such transfers, the report indicated. Upon the transfer, some servicemembers described having "difficulty reconciling account balances or obtaining information related to their loan terms. They also described a range of challenges while modifying their mortgages, which included problems like servicers requesting the same documentation multiple times throughout the loss mitigation process as well as offering terms that were unaffordable. "In particular, servicemembers continued to experience trouble with effective loss mitigation options when receiving Permanent Change of Station orders," the report noted. Despite these problems, the report noted that in comparison to non-servicemembers, veterans experienced these problems less frequently than their civilian counterparts. Next: The Week Ahead: Will the Fed Raise Rates?